Hi guys, hope you're all well! Today I'm coming at you with this Magnitone Lucid Review. I always thought that I had pretty good skin and never thought of investing in an exfoliation brush. 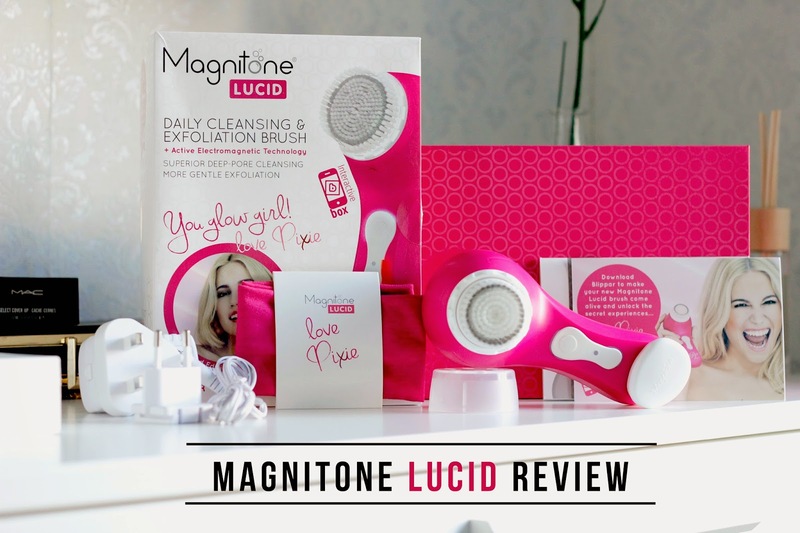 Magnitone recently brought out the Lucid range (ft. Pixie Lott) and I managed to get my hands one one set. Though on the initial view, the brush appears a bit 'plasticy' but once picked up the brush feels very solid in the hand. My one and only personal turn off is the colour, I'm not a fan of bright pink colours, however I get that by partnering with Pixie Lott Magnitone is trying to appeal to a more younger audience. Initially i didn't think much of the the Magnitone Exfoliation Brush well let me rephrase this, I never thought that any exfoliation brush would make a difference to my skin let alone my make up routine. I am pleasantly surprised by Magnitone. My skin is brighter and more clear, make up applies like a dream and finishes flawlessly. The brush has two cleansing modes, one slightly more gentle and another more vigorous. At first i got a bit worried that i would use the brush for too long not realising how long the machine has actually been running, I've had bad experiences with scrubs, mechanic buffers etc. My skin doesn't take well to vigorous or harsh exfoliation. BUT this cleansing brush comes with a timer and a total running minute of 1 Minute. During this one minute, the machine beeps after 30 seconds( it's advised to start cleansing the forehead first) to 15 second intervals reminding you to switch from one cheek to the other. If anything this would probably be my personal major plus point when it comes to this exfoliation brush. 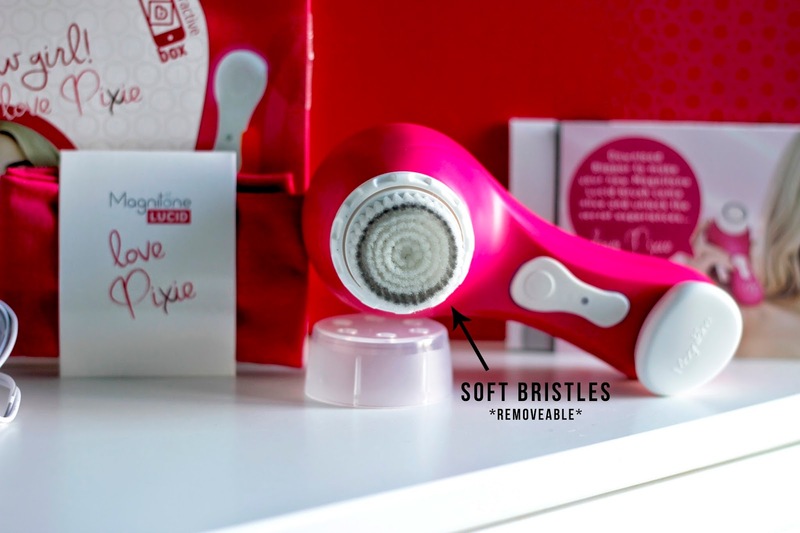 The bristles are soft and kind to the skin. Though it may not seem like anything is actually happening, you definitely feel the results afterwards. The brush head is detachable and can be replaced after a couple of uses. I'd definitely recommend this little gem, even if you have incredibly good skin, incorporating this brush into your skin care routine will revamp the condition of your skin and give you tat extra bit of glow! What do you guys think of exfoliation brushes in general?